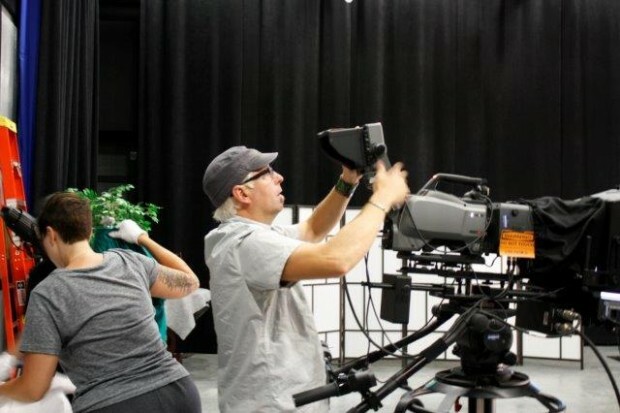 The Salt Lake Community College Fashion Institute will soon showcase authentic designs that American women have donned throughout the ages. High end apparel from the SLCC Historic Fashion Collection and contributing partners will be on display at the George S. and Dolores Dore Eccles Art Gallery at the South City Campus. “[This year’s exhibit] is High Style [which illustrates] the glamour and sophistication of American women’s fashion from [the] 1890s to the present,” says Historic Fashion Collection curator Sandra Ence Paul. The school’s collection includes original elite suits from the likes of Coco Chanel, Christian Dior, Jean Patou and Madame Grès, with some pieces dating back to the 1880s. The clothes were given to SLCC by the University Of Utah Museum Of Fine Arts in 2007. The arrangement was overseen by the late Margot L. Shott, who served as the original curator. Ence Paul received her curator training from Shott, who had worked as an historic consultant for Weinstocks in the 1970s and was well-versed in the area of historic fashion. Ence Paul became curator in June of 2014. “I love history and I love fashion, this is the perfect job for me,” says Ence Paul. Curator duties include an arduous documentation process of each clothing item. All pieces are positioned upon a dress form to be inspected, photographed and recorded into a spreadsheet. Handling the items with care is of the utmost importance. Apparel is stored in a windowless, frigid room to try and preserve the fabrics. The curator is also responsible for community outreach, which can include showcasing individual items or producing an exhibit. Ence Paul and SLCC communication professor Tyler Smith received a community engagement grant, which helps institutions generate partnerships with local businesses and build recognition for their programs by embarking on projects together. The High Style exhibit is a collaboration between the SLCC Fashion Institute, the Margot L. Shott Historic Fashion Collection, Brigham Young University Library Special Collections and the Utah State Division of History Department of Heritage and Arts. 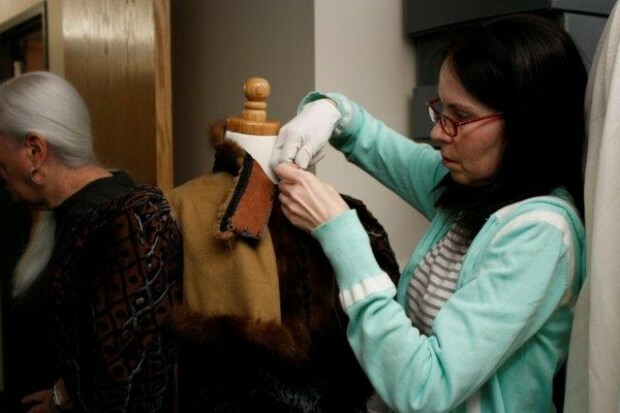 The display will integrate outfits provided by BYU and the Division of History, as well as some personal effects of Margot Shott, who bequeathed her private wardrobe to the collection. Shott’s donation added 100 additional items to the SLCC collection. The exhibit will feature a display of mannequins and dress forms sporting more than a dozen notable pieces. These dresses cannot be worn by people because oils and perfumes could potentially damage the clothing. Hours: Monday through Friday, noon to 7 p.m.
Oct. 23 at 5 p.m. Doors open to public at 6 p.m.
Live models will be seen walking around during the opening reception of the exhibit, dressed in 20 of Ms. Shott’s finest pieces. Among those modeling are a blend of close friends, acquaintances and ballet dancers from Ballet West, of which Ms. Shott was a board member. This is the first live fashion show that has been conducted by the Fashion Institute during an exhibition, making this event unique from years past. The significance of the showcase is to show examples of how exemplify a historical look at how fashion reflects the ever changing role of women. As women evolved, so did the style of clothing, demonstrating how women began to desire fewer restrictions as modernity progressed. This year’s show is dedicated to Margot L. Shott, in a hope to honor her, her life’s work and her eminent contributions to fashion.